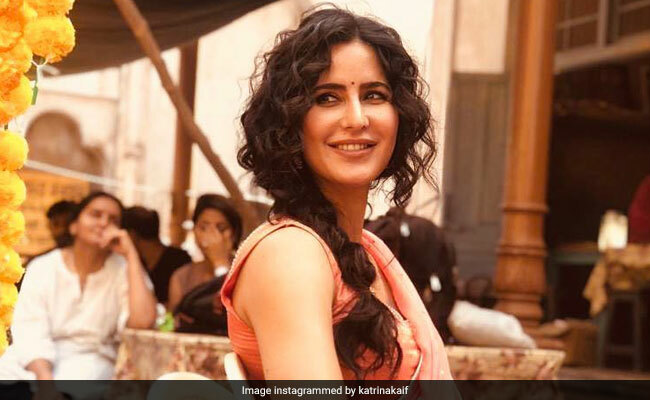 Katrina Kaif shared an update from her forthcoming film Bharat, which took our curiosity to a different level altogether. On Sunday morning, the actress shared a picture of herself from the sets of the film and beautiful can't even begin to describe it (more about that later). In her post, the Dhoom 3 actress also revealed that film's trailer will be out in 10 days (April 24). "10 days to trailer," read the caption on Katrina's post. Soon after Katrina shared the release date of the film's trailer, the comments section was flooded with remarks like "Can't wait" and Super excited for Bharat." Katrina's post went insanely viral and it garnered over 2 lakh likes within a few minutes. Last month, film's director Ali Abbas Zafar stated in a tweet that the film's trailer will be out in the third week of April. However, he did not reveal the exact date in his post. "Yes the trailer ofBharat is locked, we are into final stages of post-production, it will come out in 3rd week of April. This one is a very special film. Nervous, anxious and excited. May god bless us all," tweeted Alia Abbas Zafar. Bharat stars Salman Khan in the lead role. The film also features Tabu, Disha Patani, Nora Fatehi and comedian Sunil Grover. The film is reportedly based on the Korean war drama An Ode To My Father and it is slated to release on Eid this year.